George Best, Bryan Robson, Eric Cantona, David Beckham, Cristiano Ronaldo - what do they all have in common? Well, for a start, they have all represented Manchester United at one stage during their successful careers, but another enviable talent each player possesses is the ability to make a supporter rise from their seats even during the most dour game. Unfortunately for Manchester United, they have not found a similar no.7 since Ronaldo's famous departure from the huge club - at least not until the 26th of August, when Angel Di Maria signed from Real Madrid (Ronaldo's current team) for a club record of £60 million. Where recent times have been very gloomy at Manchester United, Di Maria could provide a huge spark to help illuminate Old Trafford, where even the thought of him is enough to make any opponent petrified. Persistently throughout the summer, rumours circulated over Di Maria and his future at Real Madrid; James Rodriguez and Toni Kroos (two World Cup stars) had recently arrived at Los Blancos so there seemed to be little room left for Di Maria to express his attacking talent. Soon enough, these fears were to be proved true as Di Maria was forced out of the club and many suitors, including the likes of Arsenal and PSG were beaten to his precious signature by Manchester United, who were desperate to sign the athletic Argentine following an extremely disappointing season. Concerned by their lack of progress in the Arturo Vidal saga, the Red Devils pounced upon the opportunity to sign the versatile attacker, fearful that another chance to sign a big name would never come. When you already posses an admirable attack, it seems mindless to spend a further £60 million on someone who's forte isn't in defence. How would you fit Angel Di Maria, Robin Van Persie, Wayne Rooney, Juan Mata and (eventually) Radamel Falcao into the same side? But despite my worries, in my opinion, this signing wasn't mindless. Di Maria has a combination of capabilities: he can consistently dribble past fine defenders, run at lightning pace and deliver pinpoint crosses, a coalition of abilities that the players mentioned above do not hold. Halting the progress of youngster Adnan Januzaj was also a worry when signing Di Maria as, like when Di Maria was frozen out of the Real Madrid set up, there are too many attackers to fit him in the side. However, in bleak times like these, United's priority should be to achieve positive results rather than focus on the future. Having an established a place in the starting 11, Di Maria's performances have been world class - he has netted three goals and created the treasured commodity for others four times in just seven games! Not bad, considering a lot of imports from other leagues tend to need time to adapt to the pace of the English game. Every time the ball is at his feet and there is clear space in front of him, Di Maria looks incredibly threatening as he quickly transfers from 1st to 5th gear. Not only that, Di Maria seems to be comfortable whether central, to the left or to the right, meaning that he can punish a defence whether he is cutting inside, looking to get into a crossing position or in place for one of his accurate shots. You need more than skill to succeed at the top level and Di Maria has a competitive personality, perhaps shown most when he made the most of a Branislav Ivanovic challenge, which eventually got the Serb sent off. This may not have been the best way to show his commitment to winning (youngsters may copy his untruthful actions), but, nevertheless, it shows how he will sacrifice his image to ensure that he is doing everything he can to help his team acquire a win. 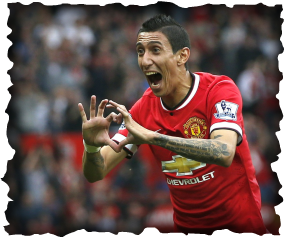 With tensions building in the run up to the highly anticipated Manchester derby, Di Maria could hold the key as to whether the underdogs can get a result out of the increasingly important fixture. 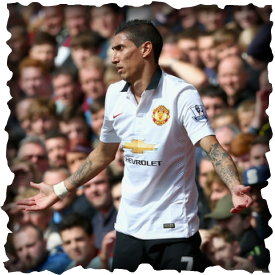 City's weakness is their fragile defence so if Di Maria is anywhere near his top form, goals could be plentiful. But he will need support from his defenders (City's attack contains the like of Aguero) if his team are to win, something which has been lacking in recent weeks. Fortunately for Di Maria, City have only scored one goal in their previous two matches, and, without their creative maestro David Silva, United stand a fighting chance of bagging the bragging rights. OIL HAVE THAT WORLD CUP, SEPP! Unfortunately for Qatar, you cannot fix everything with money. No matter how many litres of oil are sold, the money generated cannot be used to cool down the weather - but what about air-conditioning? Using their huge financial power, Qatar have considered plans to exploit the sun's solar power to create energy used for air-conditioning. Yet air-conditioning on such a colossal scale has never been tested and is therefore a risky idea. Assuming that the air-conditioning is effective, Qatar must then tackle the next problem; the hazards supporters will inevitably face travelling in extreme weather. Crowds will only intensify the heat and the nation will be packed as space is limited in such a minuscule country where most of the land is filled by an endless desert. Without contemplation from FIFA, fans could suffer adverse effects - sun stroke and fainting being two of many examples. To rectify this, FIFA has suggested moving the World Cup to the winter. Generally, this has caused a great disgruntlement among football leagues and broadcasters (as the World Cup would clash with the NFL). Meanwhile, lots of leagues would have to completely reorganise when games would take place, which could cause annoyance as players may not get enough rest. Even with these drastic changes, it's impossible to get away from the sun as some clubs (most notably in Spain) will have to play in the summer to make up lost time - sides based inland may end up playing in 40 degrees Celsius. You cannot win! When you sacrifice the lives of 1100 people (and potentially more) no World Cup can be called successful. No one should die for a World Cup... It is revolting! Beaten, these slaves have also been forced to beg for food, subsequently humiliating them. When they first came to Qatar, the migrants were promised (relatively) high wages but they are now being denied the money they so desperately need. Escape? No chance! The various construction companies have ruthlessly seized the compulsory paperwork which allows you to walk the streets of Qatar without risk of being arrested. What is worse is that this has been allowed to continue, with the death toll expected to rise over 5,000 people unless necessary measures are taken. Words alone cannot describe my emotions, but this is utterly vile. Personally, I believe that the World Cup isn't entirely football related; it builds up a tolerant and respectful community as many races, ages and different religions mix. So when I heard that the Qatari government were considering implementing medical screening to 'test' if you're gay, I was mortified! Anyone who is interested in the World Cup should be able to visit its host nation regardless of sexual preference. The most sickening part about this fiasco is the fact that Qatar are willing to sacrifice lots of money to see if you're gay - money which could be spent on improving working conditions for the construction workers. This also suggests that the government are extremely - unnaturally - determined to prevent gay fans entering the country. Qatar are allowing alcohol (usually illegal) into the country for the World Cup - will they back down on not allowing homosexuals spectating the captivating tournament as well? Oil is King in Qatar, providing it with a prosperous economy. Clearly, however, not everything can be bought, no matter how many barrels of oil you own. 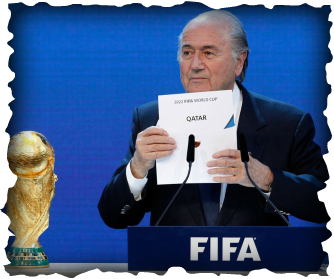 Qatar will need more than the precious fossil fuel to save this World Cup from being a monumental failure. Judging by this season so far, Southampton fans must have slipped the thought that they have had to deal with the exits of Lallana, Lambert, Chambers, Shaw and Lovren all in the same window, as well as the injury of Jay Rodriguez - last season's top scorer for the side. Although Southampton have missed Rodriguez for the season's outset, there has been no trouble in finding goals; Sunderland fell victim to a 8-0 loss against the Saints earlier this month. 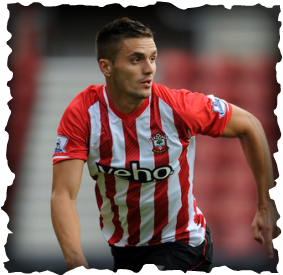 The main concern was whether Tadic (signed from Twente for a mere £11m) could replicate Lallana's heroics in the hole. That, quite clearly, has been answered: yes. Tadic has already managed to assist 6 times this season as well as create 25 chances for his teammates; more than Chelsea star Eden Hazard. It was just three months ago when Ronald Koeman was making jokes about the lack of players at his new club. Southampton had sold five of their stars within the first month of the summer window, with an additional player leaving on a permanent basis. After an exhilarating (but perplexing) season under Mauricio Pochettino - with the club finishing eighth in the final standings - doubts began to grow as many of Southampton's stars were continuously being linked with moves away from St Mary's. To make matters even worse, the Argentinian departed for Spurs, leaving the club in a state of confusion. Would they be able to subsist their form? The Saints also had to replace goalscorer Lambert, renowned for his clinical finishing; the Englishman had netted 106 times over the course of a 5 year spell at St Mary's. Searching for a new striker was a pushover - Koeman worked with Graziano Pelle at former club Feyenoord and the Italian was arguably their star player, netting 23 goals last season, second only to golden boot winner Alfred Finnbogason. However there were doubts that he could adapt to English life with the Premier League being one of the toughest leagues to compete in. However, these qualms have since been pressed spectacularly; Pelle has now scored six goals so far in the league, outshining Lambert completely, as the 32 year old hasn't opened his account so far this campaign. The improvement in the striking department could also explain Southampton's magnificent start to the season. Lastly, we can't forget the man behind it all? Septembers Manager of the Month, Dutch title winner.. not only was Ronald Koeman an incredible player, but an illustrious manager in the making. Koeman has already established that he wants the best out of his players, even if they do win 8-0 then he wants them to perform better; he's a perfectionist. Striving for the win. the Dutchman demands that his players play ruthless football with high levels of pressure and passing. Southampton sit second in the league after 9 games. Following a summer squad overhaul, no football fan would have believed that the club would be able to achieve a European spot - or even maintain their performance from the 2013/14 season - but from now on, The Saints are embracing the enthusing thought of Champions League football, something that most fans dream of... consistency is crucial if Southampton are serious about achieving a European spot, but we can all dream, can't we? England's influence is waning - Following England's 'golden generation' you would expect youngsters to be inspired by the likes of Frank Lampard and Steven Gerrard. Indeed, these two players finished 2nd and 3rd respectively in the 2005 Ballon d'Or, where only the brilliance of Ronaldinho could stop the one of the two midfielders collecting the prestigious award. Also on the star-filled shortlist were John Terry (10th) and Jamie Carragher, who was level with future winner Cristiano Ronaldo in 20th. Wayne Rooney has since appeared on the list - that's five players who can genuinely be called world class - a phrase often used too much. Unfortunately, times are less fruitful for the English national team; not one Englishmen battled their way onto the list this time round, or in the 2013 edition. Questions must surely be asked about how England can improve their youngsters. Deserved winners - According to the list of nominees, Germany - champions of this years' World Cup - have the widest catalogue of stars, with six of them (all of them involved in their win against Argentina) in the shortlist. The next highest, jointly Argentina and Spain, only have half of Germany's total, suggesting that the nation are way ahead of their competitors on the international footballing level. This is also evidence that Spain underperformed spectacularly in the World Cup - judging by the shortlist, they should have at least made the semi-finals, rather than crashing out in the group stage. For most football fans, the most exciting part of the Ballon d'Or is who will win the coveted trophy; after all, this is the ultimate goal. I am different. Knowing who the top 23 footballers are on the planet interests me more; it is a larger set of data which can be analysed more thoroughly. Which nation has most nominees? Have previous winners, perhaps reaching the twilight of their career, still made the cut? Two titans - only until recently, Barcelona were dominating European football with their tiki-taka style known for finding openings in the opposition defence, no matter how long it took. This time around, however, Real Madrid and Bayern Munich dominate the list, equally sharing 12 players between them. The previous two winners' rise have coincided with the fall of Xavi; this is the first time he has been left out of the shortlist since 2007! With Real Madrid and Bayern Munich each having the same number of players, it could be difficult to separate them in the Champions League this season - it could come to tactics (like last year, when Carlo Ancelotti outfoxed Pep Guardiola) and both managers are in with a shout of the manager award in the 10 man shortlist. Not just about quality - the surprise omission of potent striker Luis Suarez - worth £75 million - can only be down to one reason: his interesting habit of biting people. Where his quality in playing football is undoubted, it is difficult to praise someone who is constantly getting into trouble. He is a like a schoolboy who is extremely clever but will ruthlessly cheat on tests to improve his mark ever so slightly more. Clearly, the Ballon d'Or is not entirely football related - it is also about fair play, something which Suarez struggles to achieve highly in. Perhaps this is also FIFA's way of discouraging biting and diving. Their message is that only with fair play can you become the best footballer in the world. From this, I can guess that FIFA are worried about cheating in football and are willing to sacrifice Suarez to make the message clearer: cheating will not be tolerated! When the season first begun, I identified five teams who had a chance of finishing in the top four: Liverpool, Arsenal, Everton, Tottenham and Man United. All of these teams had a few star players they could turn to in times of need, and none more so than Liverpool. In my opinion, their two leaders were Luis Suarez and Steven Gerrard, both setting an example on and (surprisingly for Suarez) off the field. However, Suarez is now gone and Gerrard is at the age where his influence in getting Liverpool results depletes after every match. Fortunately, Liverpool have one of the few up and coming English talents - Jordan Henderson - who has already replaced the former England skipper in the deep playmaker role and who will soon succeed Gerrard to as Liverpool's dominant force in the centre of midfield. However, Liverpool play with three midfielders (plus one attacking one) but I can only see Jordan Henderson who can fill the role at the moment. Are the likes of Joe Allen really Champions League quality? Brendan Rodgers has temporarily changed his formation to a 4-3-3 as Daniel Sturridge is injured and Rickie Lambert hasn't hit the form he would've wanted to. Therefore, Mario Balotelli is playing as the only centre forward in the starting 11 and has struggled; he has missed many glaring chances. Whereas Suarez could consistently provide you with at least a goal every two games, Balotelli hasn't scored a premier league goal so far this season. You cannot blame a team's failures on one player, but, at the moment, Balotelli seems to be more of a burden on the team than a help. Finally, Suarez improved player performances around him, sucking defenders out of their positions and creating space for the likes of Sturridge. When Daniel does come back, you may be surprised at how he isn't scoring as many goals as last season. A slip, a goal, a loss. Although Liverpool may have achieved above and beyond expectations, they would have inevitably felt bitterly disappointed when Demba Ba raced through on goal and calmly slotted the ball past Simon Mignolet. There is no prize for second place after all. But to finish that close to the title winners, Manchester City, must have been a refreshing thought. Or will the thought of being so close yet so far haunt Liverpool this season? Another terrifying truth for Liverpool - there is no Luis Suarez this season! Without their competitive talisman, most fans are resigned to fighting for fourth place this season (again) and hoping that their new signings will eventually come to form. Also, one reason why Liverpool almost won the title last season was because of the lack of games; they weren't playing any European football. Now, they are being overloaded with fixtures such as trips to Bulgaria and facing Real Madrid - a team which will certainly tire you out! To counteract this, Liverpool have brought in lots of players, who, so far haven't succeeded. 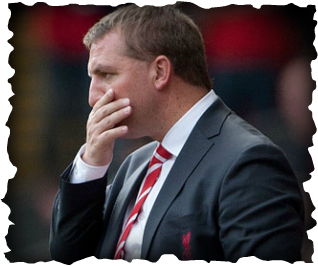 Personally, I completely disagreed with Rodgers' transfer policy last window - he went for quantity instead of quality, like Tottenham did when they sold their own star, Gareth Bale. He needed to sign one or two world class players, but instead opted for many mediocre players. Squad depth did need to be improved but not to the extent where Rodgers signed anyone who clubs were willing to sell. 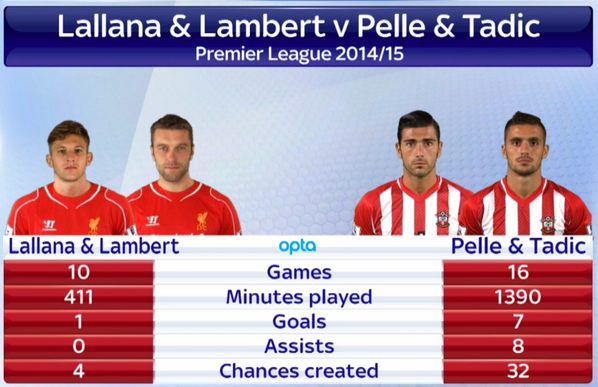 An example of this is Adam Lallana, who was way overpriced at 25 million pounds yet Rodgers still decided to sign him. If Liverpool had won the league last season, they would've gone into this season bubbling with confidence - and maybe with Luis Suarez. Now, they're going in without any leaders to turn to. Have they improved from last season? No way! That is why I predict that Liverpool will be finishing outside of the top four, possibly fifth this season. It's amazing how a slip could change where Liverpool finish this season! CAN UNITED STILL PUSH FOR THE TITLE? Two decades of Premier League titles, domestic cups and European glory; this was Manchester United. Sir Alex Ferguson's side graced every blade of grass they stepped foot on, with the Red Devils regarded as the best side in England, let alone the world. Unfortunately for United fans, Sir Alex was growing old and it wasn't long before he named Everton's David Moyes as his successor. It took just ten months for the fans to decide that they needed something different and Moyes was eventually replaced with Louis van Gaal, who has since suffered a difficult start to life in England. Not since Roy Keane have United had a driving force in the middle of the pitch. The Reds came close in their attempts to sign Arturo Vidal however the Chilean star rejected a move. Despite this, I feel that the partnership of Herrera and Blind could be enthralling. Ander Herrera may appear as an expensive mistake for most United fans but that doesn't make him another Fellaini. The midfielder adds a new dimension to United's midfield; although he isn't what the fans ideally wanted, Herrera brings creativity to Old Trafford, something that they have also lacked from a central midfielder in the last few years. Daley Blind looks like he is improving game by game; a star of Holland's World Cup campaign, the versatile Dutchman secured a deal to sign for the Premier League giants mainly based on his impressive time in Brazil. I actually watched Ajax's Eredivise league opener against Vitesse and Blind came off from the bench and was breathtaking - within 3 minutes a goal was created for der Hoorn - and Ajax crushed their opponents 4-1 despite struggling defensively throughout the game. Blind may not be the Vidal type of player Manchester United were aiming to sign, but he does look like a player who is rapidly growing in confidence and ability. Robin van Persie fired United to another league title a couple of seasons ago, but the striker failed to make the same impact last season; the Dutchman was plagued with injuries. Questions were asked, doubts were made - could Persie still deliver for United? He answered all last summer, netting four times over the course of the World Cup in Brazil. The Red's broke their transfer record in January with the £37m signing of Juan Mata. The Spaniard scored six in his first season at the club and was dubbed to be an essential player to United's revival under Louis van Gaal. However, Mata's World Cup performances were lacklustre in a disappointing campaign for Spain. The Spaniard's position seems in jeopardy with the signing of Falcao on loan. The Colombian is an out-and-out striker and will almost be guaranteed a spot in Van Gaal's line up, with captain Rooney and Gaal's fellow Dutchman Persie also to be in the line up. How I personally feel Manchester United should line up this season. Creative and cunning, Mata can change games within a few minutes, whether he is threading balls through or spraying the net himself. Manchester United must accommodate him in their first team in order to challenge for the title. Fact. Van Gaal claimed that his side were unbalanced, yet he failed to sign an experienced defender. I personally think that the club have took a risk with Shaw by signing him for £30m; Chelsea had Sam Hutchinson at a similar age who was poised to be England's next big thing, however the youngster suffered a knee injury which forced him to retire (he has since returned to football) - nothing stops Shaw from undergoing the same fate. Rojo impressed in the World Cup for finalists Argentina but he isn't that dominant replacement needed for Vidic, although I do think he adds a different perspective of defending to United's side as well as the Premier League. It's all about decision making for United. If they slip up once more then it's all over, but Gaal proved in the World Cup that decision making was a key factor of his management. Who knows, if the club can steer the future in the right direction, Manchester may just be red again one day. Do you think Manchester United can challenge for the title? Throughout the years all Chelsea supporters have grown to admire John Terry, who they hail as 'Captain, Leader, Legend', idolise 'Super Frankie Lampard' and regard the invincible Didier Drogba with the reverence of a king. It's been a while since Chelsea have discovered a hero to add to the list - someone to chant about - but that could finally be over. It's been a difficult few years for the club and fans especially, with the club trophy-less for two years since the famous victory in Munich. Horror continues for Chelsea fans as opposition fans take advantage of the daunting truth that the club haven't held a league title since the 09/10 season. There has been one main (but obvious) reason to blame for Chelsea's struggle; the striker problem. It was in 2011 that Chelsea splashed the cash on Fernando Torres, breaking the British transfer record at the time. Little did anyone know that the £50m star would become a flop; the World Cup champion was coveted with individual awards acquired due to his sublime performances throughout his career, despite not winning a trophy in his four years at Anfield. Torres netted his first goal for the blues against West Ham, ending a horrific run of 903 minutes without a goal. Following that season, Chelsea signed youngster Romelu Lukaku. He was immediately shipped to the reserves and then West Brom the next year. Perhaps Torres' most iconic moment in a Chelsea shirt came in the same season when he rounded Victor Valdes to put the ball into an empty net - a redo of his dreadful miss against Manchester United - to send Chelsea to the Champions League final which they would later go on to win in a penalty shootout against hosts Bayern Munich. However, Fernando continued his atrocious form in to the 2012/13 season. Although Torres scored 14 goals in the first half of the season, Chelsea had finally decided that they needed reinforcements, bringing in Demba Ba from Newcastle for £7m. Ba had surprised the league by scoring 16 goals in his first season at The Magpies, but his form plunged once fellow countryman Papiss Cisse followed him to Newcastle. Cisse had begun his career in England with 13 goals from 14 games, however he failed to extend his form to the next season. Demba Ba netted twice in his Chelsea debut but failed to impress Rafael Benitez subsequent to that. Fan favourite Jose Mourinho returned as manager following the exit of Benitez, bringing in Cameroonian hero Samuel Eto'o (whom he had worked with at Inter Milan) on a free transfer. Eto'o was one of many exits at Anzhi in Russia as the club seeked a new start. His one-year deal expired at the end of the season and the 33 year-old went on to sign for Everton. (not to forget his goalscoring habits!). It is no secret that Chelsea had lacked firepower up front, but it looked imminent that this was about to change. 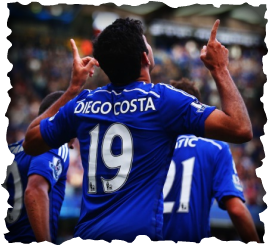 It was obvious that Costa was an incredible striker who was rapidly progressing, yet there was still doubt as to whether Costa would be able to suit the Premier League's style; will his physicality be a problem? Can he bring goals to this Chelsea side? Could Costa end the 'curse' of Chelsea's strikers? These were few amongst more questions and doubts experts had about the Brazilian-born Spain international. Costa's stats compared to other European strikers. With an (unexpected) top-of-the-table clash with Swansea and a trip to face title holders Man City, now is the best time for Costa to truly demonstrate that he means business. Do you think Costa is the right fit for Chelsea? Let me know in the comments!